What if every child came to school ready to learn on day one? Waterford UPSTART provides four-year-old children access to the highest form of academic support in their early education at no cost to participants: personalized family education and coaching, a new computer and Internet if needed, and adaptive educational software. 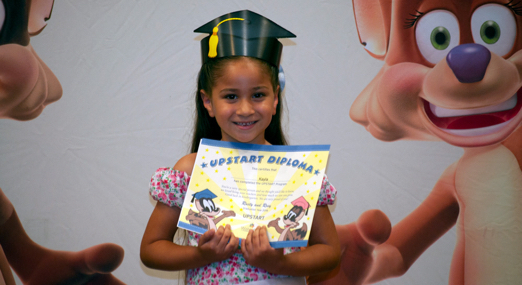 The average Waterford UPSTART graduate enters kindergarten reading at nearly a first-grade level and maintains their gains for years to come. Nearly half of our county’s 4-years-olds face barriers that keep them from early education. Waterford UPSTART provides early education access to unserved families in the home by providing support, technology, and internet. The average school-day PreK program costs $5,000 per child, and a single family could pay hundreds of dollars a month. A typical Waterford UPSTART scholarship is 1/4 the cost per child of other early education solutions and is provided at NO COST to families. Parents with little or no access to early education solutions often feel lost as to how to prepare their children for school. 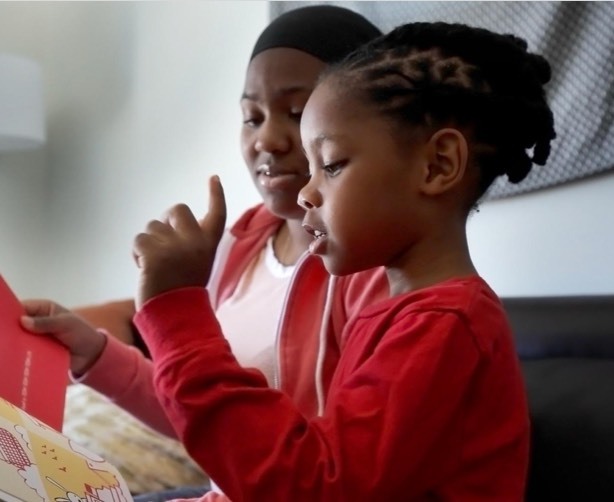 Waterford UPSTART supports families through personalized coaching, empowering parents as their child’s first educator in the home to help ensure their children arrive at school ready to learn. Children without access to early education may enter school as many as two years behind and may never catch up. Waterford UPSTART children enter kindergarten reading at nearly a first-grade level and outperform their peers on standardized test through the fourth grade. Watch as parents explain their experiences with Waterford UPSTART, including funny stories, exchanges with our Family Education Liaisons, and recommendation to other parents. Waterford UPSTART is beneficial for all families to help get their children ready for kindergarten. Waterford.org in partnership with Philadelphia’s Read By 4th helped children and families get a jump start on education through Waterford UPSTART. Kingston Johnson is one of many children, having no access to early education programs, who benefitted from philanthropic support to implement the Waterford UPSTART project at no cost to families. Waterford UPSTART’s goal is to ensure every child regardless of geography, socio-economic status, or background enjoy the success of arriving to their first classroom on day one with the confidence to learn. Those who come to school ready to learn are far less likely to drop out, have trouble with the law, or suffer from generational poverty. Waterford.org provides Waterford UPSTART at no cost to families through generous sponsors—join us and change a child’s life today!